Setting permission is one of the most important aspects of creating an effective workflow since it defines who can do what with a document in a particular state in their life-cycle. 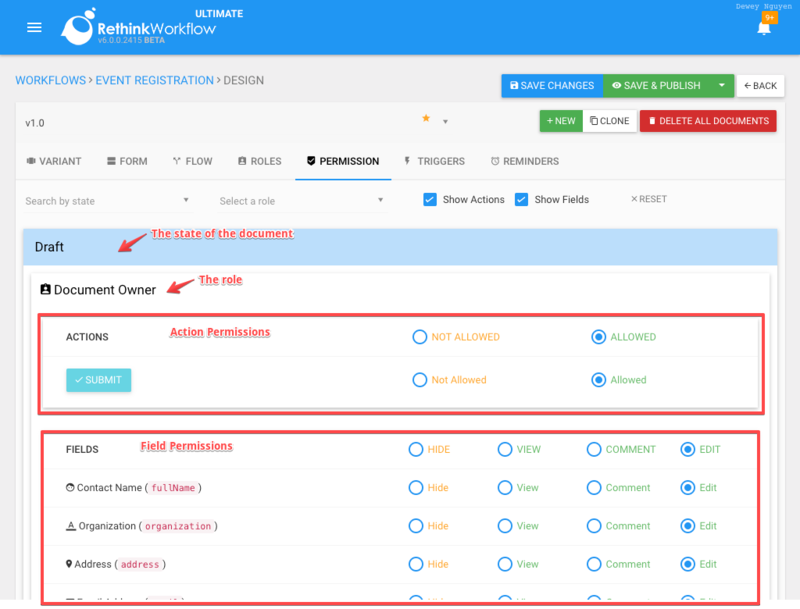 Rethink Workflow uses Role-based Access Control in conjunction with field visibility condition and action conditions to provide a powerful yet simple way for the workflow designer to set up permissions. There are two types of permissions: Field Permissions and Action Permissions. Action Permissions allow the workflow designer to define what actions are available for a particular role at a particular state. Allowed: the current role can take this action when the document is at this state.